(Kathy Gabler)—Coming into the new year we would be wise to make decisions based in the Word of God, the wisdom of God. If we go to God for a deposit of His peace and wisdom, we can make a choice that contradicts our feelings. That doesn’t mean you are giving up strategy and resolve, it means you’re just choosing not to stay UPSET while it comes. To stay upset is to CHOOSE death because your body will suffer, relationships will suffer and “emotional reactions” will become KING in the house and set an atmosphere that draws more upset. Marty, Kathy and Melissa invite you to join them for a special New Year’s Beside Still Waters segment Jan.1, 2019 at 8:15pm. It will be live on Marty’s Facebook page. It will be a time of prophetic inspiration, encouragement and anticipation looking forward to seeing God’s Kingdom purposes in 2019. 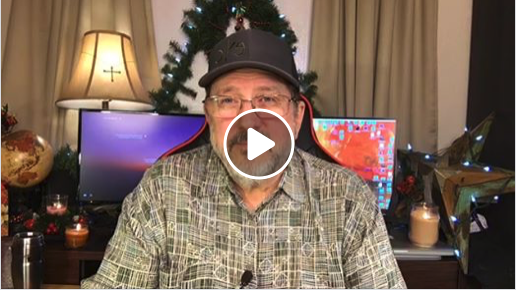 This entry was posted on December 29, 2018 by Marty Gabler. It was filed under Uncategorized and was tagged with 1 Thessalonians 4:17, 2019, anticipation, Apostle, atmosphere, Barbara Yoder, Bethel Church, Bible, Bill Johnson, Body of Christ, celebrate, CFNI, charismatic, choose life, Chuck Pierce, church, Cindy Jacobs, circumstances, comfort, Daily Discovery, Damon Thompson, destiny, dreams, Dutch Sheets, elderly, encouragement, expectation, faith, father, Five-Fold, FMCI, future, gifts of the Spirit, god speaks, grace, Haggin, happy, healing, history, Holy Spirit, hope, Identity, intercession, Isaiah 9:7, Israel, issues, Jentezen Franklin, Jeremiah 29:11, Jesus, Jim Goll, Jim Hodges, John 3:16, John Eckhart, John Kelly, Joseph Prince, Joyce Meyer, Kathy Gabler, Kim Clement, Kingdom of God, Lakewood, Lance Wallnau, life, Lindsey, manifestation, Marty Gabler, Matthew 6:10, Matthew 6:33, Melissa Gabler, Myles Munroe, New Year, obstacles, ORU, Osteen, power of god, prayer, problems, prophecy, prophesy, prophet, prophetic, prosperity, purpose, Redding, rejoice, Rick Joyner, Rick Pino, righteousness, salvation, Savior, SEEC Ministries, sentiment, sons of God, spiritual warfare, strategy, success, TD Jakes, Texas, Tony Evans, transforming power, victorious, victory, visions, Will of God, wisdom, word of god.